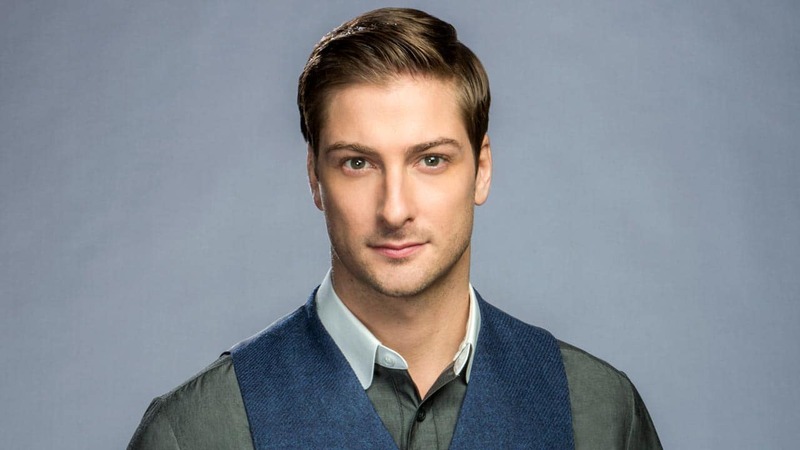 Daniel Lissing is a famous Australian actor, who came to limelight for his outstanding roles as Conrad De Groot in Crownies and as Petty Officer James King in the American military drama Last Resort. The handsome actor was born as Daniel Aaron Lissing on 4 October 1981 to Jerry Lissing and Inge Christopher in Sydney, New South Wales. Lissing has a dual nationality as both Dutch and Australian. Daniel grew up in Bondi Beach, located near Sydney Harbour and cherishes those experiences as one of the best periods of his life. No other information is available about Daniel Lissing’s early life and educational background, but sources reveal he has a sister. Lissing’s career in the Australian entertainment industry began by appearances in TV commercials. His first television appearance was a minor role as a policeman in the 2001 series Pizza. Next work was a guest role as firefighter Dave Elder in the TV show Home and Away (2006). Between 2008 and 2009, he made other TV appearances which include Out of The Blue, Packed in the Rafters, Whiteline, Multiple Choice and The Game. Lissing’s breakthrough role was as Conrad de Groot in the 2011 series Crownies. He worked on different roles in the same year as Aiden in the movie Entwined and as Sam in the movie Fidelity. By the next year, he made another hit appearance playing the role of a U.S Navy officer James King in the American TV series Last Resort. Some of his movie appearances include the character Ryan Earl in the 2014 film The Cure, and the role of Jake in John Doe: Vigilante (2014). His other successful works are portraying Jack Thornton in the 2014 popular hit series When Calls the Heart, as Ben Miller in Eye Candy (2015), as Seth in A December Bride (2016). Lissing’s recent appearances include playing the role of Jesse James in the 2017 series Timeless and Tom Jakeman in Blindspot. See Also: Is Shemar Moore Married, Who Is His Wife? Family, Parents, Is He Gay? and singer who plays the guitar. He has done various cover songs and performed in several Australian cities. The handsome actor has at different times entertained the Australian troops with live musical performances in the Solomon Islands and East Timor. He was formally recognized for his peacekeeping efforts by the Australian Defense Force. Daniel Lissing is one of those celebrities who like to keep their personal lives under the radar. Consequently, there is little or no information regarding his dating history or relationship affairs available to the media. Nonetheless, Daniel Lissing is speculated to be in a romantic relationship with Erin Krakow, his co-star in When Calls the Heart. Lissing has a very active social media life with a huge fanbase on popular sites like Instagram, Facebook, and Twitter. On his official Instagram page, the quite secretive actor has conspicuously shared numerous pictures of himself with Erin Krakow who worked with him onscreen as Elizabeth Thatcher in the 2014 series. However, we cannot affirm that the duo is actually in a romantic relationship or just good friends as both parties have shut down the rumors. Given the amazing chemistry that exists between them, we can only hope that what they share is for real and would end like a fairytale movie. But for now, Daniel Lissing is unmarried and possibly single. He lives with his family in Los Angeles, California. What is Daniel Lissing’s Net Worth? Daniel Lissing has so far done pretty well for himself with an active and successful acting career. Though the Aussie actor’s exact salary figure is unknown, his current net worth is estimated at $500,000, a value expected to appreciate following his progress in the entertainment industry. With an athletic and muscular physique, Daniel stands at a height of 5 feet and 11 inches. His hair and eye colors are light brown and brown respectively. Daniel has worked for some nonprofit organizations and charitable funds. Daniel is an animal lover and has a pet dog. He also has an investment in a horse farm. Daniel’s favorite sport is football/soccer. The handsome actor was named one of ‘Australia’s Sexiest Blokes on Television’ by TV Week Magazine. Daniel’s father, Jerry owns a Navy Canteens in Darwin, Northern Territory, Australia, which helps improve the welfare and recreational benefits available to serving Navy members. His mother Inge, works for Feros Care, a non-profit organization that offers quality aged and community care services.